Sometimes I dream of the day when we all live in modern settings and only need to wear one piece of do-everything clothing. It comes from watching too much Star Trek. I imagine their jumpsuits to be a futuristic textile technology that does everything: Moves with you, keeps you warm, keeps you cold, protects you from impacts, keeps you dry and makes you stronger. It would be like the unified theory of wearable textiles. 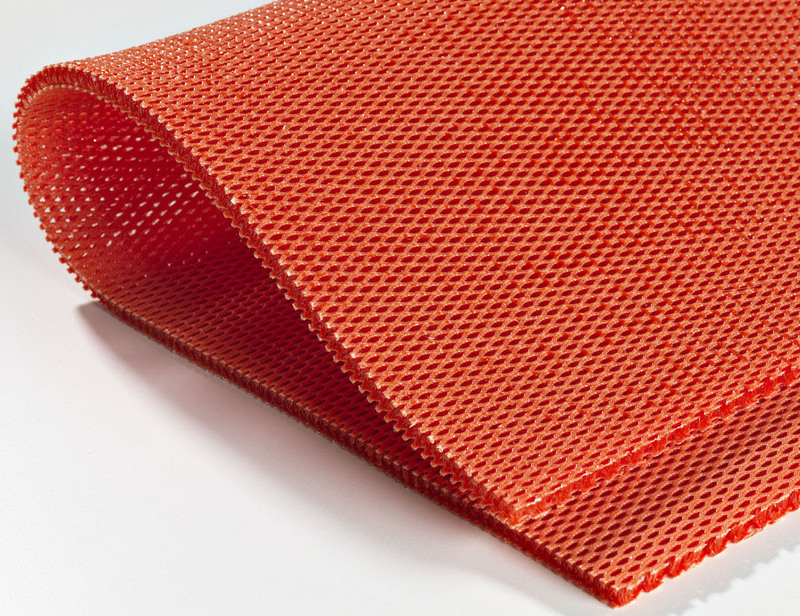 What this textile appears to be is a combination of knit 3-d spacer fabric with a silicone layer that does the work of pressure absorbing and distribution. The silicone acts like the cornstarch solution above by becoming rigid on impact. Multiple combinations provide various forms of protection. The geeks are all over this as a way to protect their precious electronic devices from clumsy drops at the coffee shop, but I’m more interested in the body protecting applications we’ll be seeing it in. Apparently there is already use in the Rodeo and Motorcycle racing, but would this be enough to replace our polystyrene bike helmets, or give soccer players shin protection that moves with you? (yes) Is it Hydrophobic enough to give good protection against rocks in class IV whitewater? I’m putting my bets on a replacement for the ever embarrassing sport cup. This entry was posted in armor, clothing, protection, Textiles. Bookmark the permalink. I’ve always wanted to design a line of Kevlar street jacket fashions. Even if they weren’t bullet proof, it’d still be cool to have a Kevlar coat. Sounds like with some development, this stuff has the possibility of being flexible, comfortable, and bullet stopping and trauma preventing. I just thought of another fabric that a former colleague sells that is structured to stop cutting and stabbing. He gets to go around stabbing himself to demonstrate the stuff. This could be the perfect companion to such street wear.